Sweet and fleshy, a COMBO screaming to be eaten! Shepherd Peppers are great as a snack and even better grilled on the BBQ. 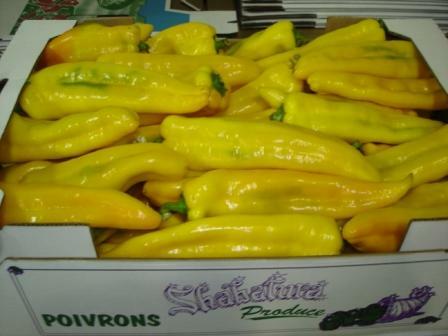 Shabatura Farms grows a wide variety of Shepherd Peppers, all of which are thick walled, firm and crispy. These roasters are generally packaged and sold in volume filled bushel cartons and half bushel cartons. 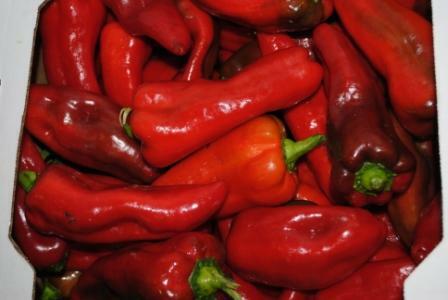 Shepherd peppers make a great addition to any meal.